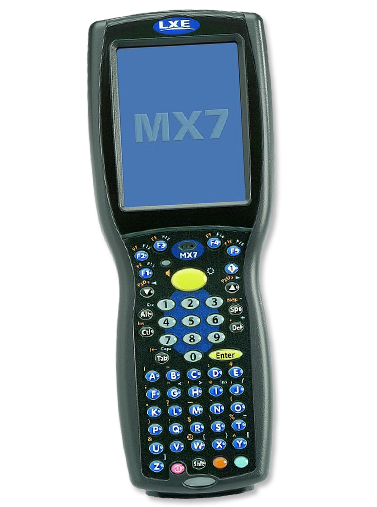 The LXE MX7 is ideal for a variety of data collection applications in warehouses and DCs. Designed for comfort, the MX7 is light enough for scan intensive picking yet tough enough to take a beating. Contact us today about buying, servicing, renting or selling LXE MX7 gear! With all-range scanning capabilities, efficiency rises as the MX7 collects barcode data from 4 in. to 40 ft. away. The MX7 ships voice ready with ToughTalk technology, a specialized combination of LXE’s trademark rugged system design, advanced audio circuitry and noise canceling techniques – for industrial-grade, voice logistics applications. Incorporates an IP65-rated design that withstands multiple 6’ (1.8m) drops to concrete, resulting in a lower total cost of ownership for enterprises.Contact us today about buying, servicing, renting or selling LXE MX7 gear!